Honor’s ambitious flagship, the View 20, is slated to go on sale in India starting January 29th. The upcoming flagship brings several new features to the table and is the only high-end offering at this moment, to come with a 48-megapixel Sony IMX 586 shooter on the back. At the same time, OnePlus has been consistently pitching itself as a brand that offers premium, high-end features at affordable prices. Considering that the upcoming View 20 is expected to be priced in the Rs 40k segment — same as the OnePlus 6T, we decided to pit these devices together to test their imaging prowess. However, instead of us telling you which one is better of the two, here’s a blind camera comparison where you, our readers, get to vote for your favourite pictures across different scenarios and decide the outcome. Go to the video embedded below and on each shot, click on the card on top to answer the poll. We will be posting the results of the blind camera comparison in a few days so stay tuned. P.S. All pictures have been taken in the same lighting conditions and with the same focus area. If you want a better look at the images, then scroll below as we’ve embedded images taken from both the devices across five settings. The first scene we captured is the landscape shot. These type of shots helps in gauging the dynamic range, colour accuracy, and level of details offered by the rear cameras. The close-up shot is probably one of the most common shots captured from our smartphones. Along with the level of details, which handset does a better job of faux-bokeh effect is also worth checking. With the rise of dual camera-toting phones, portrait mode has become a common phenomenon, wherein the focus is on the subject with the rest of the background nicely blurred. While most smartphones work well when the lighting is sufficient, what about the dim environments? But Honor’s View 20 and OnePlus 6T aren’t just any other smartphones, so let’s compare how well they perform in low-light settings. Gone are the days when front cameras were used just for video calling as these days selfie shooters are getting better. Even DxOMark realises the importance of the selfie shooters and has started a brand new benchmarking evaluation called DxOMark Selfie. So, how well do our competitors perform with their selfie cameras? Let’s find out. Make sure to click on the top card in all scenarios of the video embedded above and vote for the picture that you think is better. 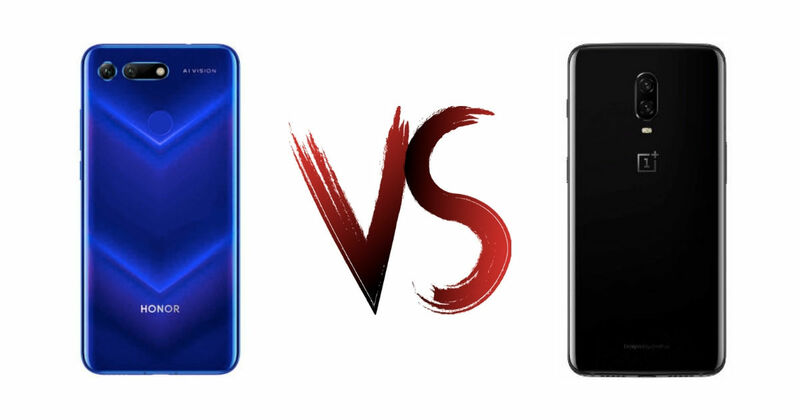 And of course, check back in a few days to see who comes out on top in the blind camera comparison between the Honor View 20 and OnePlus 6T.